HiLetgo is located in Located in Shenzhen, a Technology City in China. 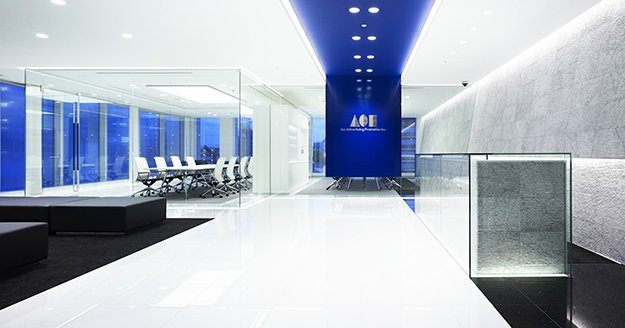 We are a Big & Professional Electronics Modules, Sensors and Robort Parts Manufacturer, we have our own Brand "HiLetgo", products including Develop Boards like Uno, MEGA, Pro mini, Nano, ESP8266, ESP32, Power & Drive modules, Sensors, Breadboards, Connectors and Jumper Wires etc.We are committing ourselves to provide the Newest products with High quality and competitive price to the people at all over the world. 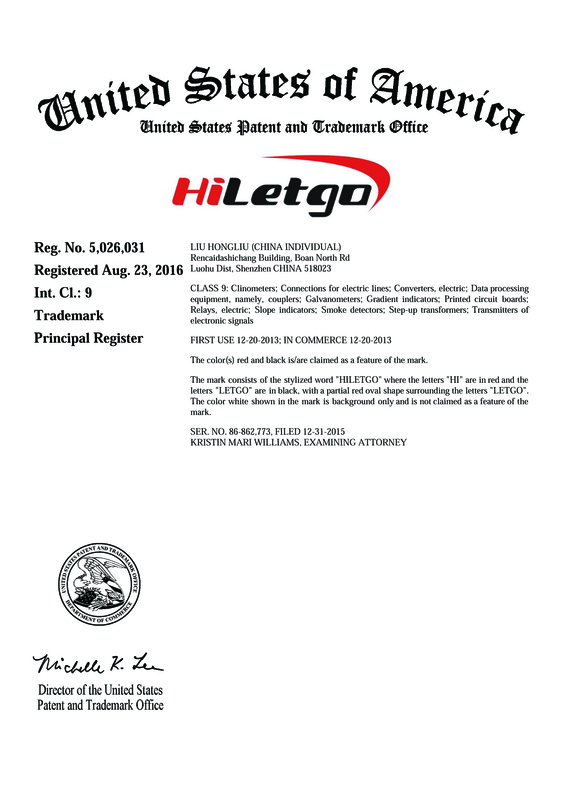 HiLetgo is an Registered Trademark in (USPTO)United States Patent And Trademark Office from Aug. 23, 2016. Reg. No. 5,026,031. CLASS 9: Clinometers; Connections for electric lines; Converters, electric; Data processing equipment, namely, couplers; Galvanometers; Gradient indicators; Printed circuit boards; Relays, electric; Slope indicators; Smoke detectors; Step-up transformers; Transmitters of electronic signals etc. Any selling of Hiletgo products if without our authorization is not permitted, and we have the right to pursue legal liability. If want to resell our product or to be one of our distributor. Please leave a message or contact us.